Kinematic mounting is the concept of locating and orienting a rigid body by no more than N points of contact, where (6 – N) is the remaining number of degrees of freedom (DOF). A trihedral socket provides exactly three points of contact, leaving the three rotational degrees of freedom, like a traditional ball and socket joint but with much higher precision. But a trihedral socket can be difficult to machine. This article discusses a number of methods for fabricating a trihedral socket that can produce both true and approximate kinematic mounting, for use in both precision machine design and optomechanical engineering applications. Any rigid body has six degrees of freedom. In a Cartesian coordinate system, these include three translations (along the orthogonal axes) and three rotations (about the orthogonal axes). Introducing a point of contact between one rigid body and another eliminates one of these relative degrees of freedom between them. Kinematic mounting is the concept of locating and orienting a rigid body by no more than N contact points, where (6 – N) is the remaining number of degrees of freedom (DOF) of motion. 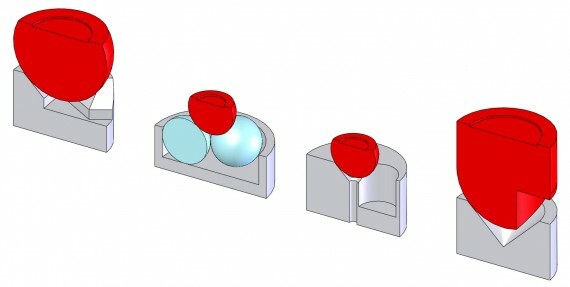 A Kelvin coupling is a classic example: One body that has three spherical surfaces (balls) contacts another that has a trihedral socket, a v-groove, and flat surface. One ball makes three points of contact with the trihedral socket, another makes two points of contact with the v-groove, and the third makes a single point of contact with a plane, for a total of six and a fully constrained – but not over-constrained – system. 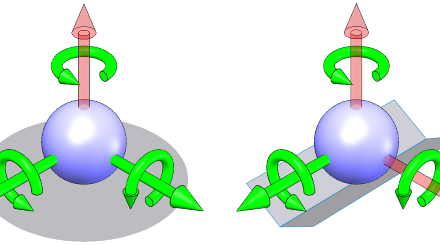 Alone, the trihedral socket and ball pair has three points of contact resulting in (6-3) = 3 DOF – in this case, the three rotations allowed by a typical ball-in-socket joint like at the end of a gas spring. But a ball-in-socket requires clearance between the two parts, so that relative motion is permitted and repeatability is low – each time the joint is unloaded and loaded, it settles into a different position. Conversely, when a ball is loaded against a trihedral socket (by the weight of the object supported, a spring, a magnet, or other method), it will settle into the same position in 3D space with high repeatability. This is the advantage of a kinematic mount. 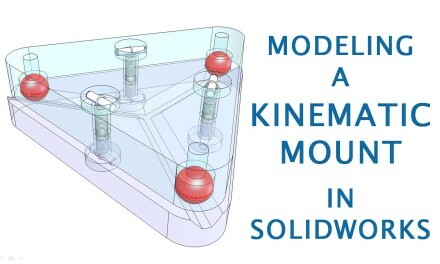 While the Kelvin clamp is an excellent example of kinematic mounting, it can be difficult to produce in reality because a trihedral socket is difficult to machine. The figure below shows four methods of producing a trihedral socket, two of them exact and two that only approximate kinematic mounting. The first example is a trihedral socket that provides exactly three points of contact with the ball. It is machined as shown in the following sequence. The second socket is formed by pressing three equal-size balls into a cup. The mating ball contacts each at exactly one point, providing a true kinematic mount. 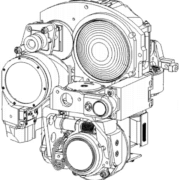 The third socket is an approximate kinematic mounting, formed by the machining sequence shown below. 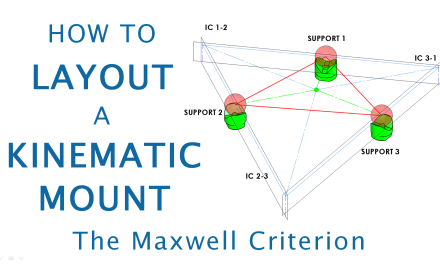 It results in three line contacts instead of three point contacts. The final concept is an inverted version of the previous concept. The seat is a conical hole. Instead of a ball, the spherical mating surface has three relieved sections, producing three short line contacts.